Surviving DOT-111 railway cars at Lac Megantic, Quebec train explosion site. Prior to the derailment they’d been detached from the other 63 DOT-111 cars that did explode . The 2013 Lac-Mégantic, Quebec rail disaster was caused by the explosion of 63 derailed DOT-111 chemical cars carrying six million liters of petroleum crude oil. 47 people were killed and half the town destroyed. Lava-like streams of burning crude oil spread fire and more death through the town’s sewers. Police helicopter view of Lac-Mégantic, Quebec the day after the rail disaster. Each car can carry 20,000+ gallons (78,200 L). The newer DOT-11A100W1 can weigh as much as 263,000 pounds (119,000 kg) when full. They transport a witch’s brew of poisonous and volatile chemicals over our neglected, rickety national railway infrastructure. The DOT-111 is always a disaster waiting to happen. My conservative guess is that over a thousand chemical tanker cars a day, most of them DOT-111’s, cross the CSX railway bridge over Herkimer’s West Canada Creek. The trains are frequent, often several an hour, and long, sometimes with as many as 100 DOT-111’s or other chemical tankers per train, sometimes just a few buffered by regular freight cars. The CSX line that traverses the Herkimer Meth Bridge is the major east-west rail conduit to and from the Northeastern United States. WHAT’S IN THE TANKer CARS? According to Pollution Law Watch, besides crude oil, the DOT-111 transports radioactive material, explosives, and some of the most toxic chemicals on earth… among them methyl bromide, ethyl trichlorosilane, methanol, sodium chlorate, sulfuric acid, chlorine, toluene, diisocyanate. Several are fatal if inhaled or absorbed through the skin. Many if spilled have a recommended evacuation radius of 5-10 miles. Cloud of deadly chlorine gas spreads from a single breached DOT-111 chemical tanker car across Graniteville, SC. 60,000 tons of gas were dispersed. Breached DOT-111 chemical tanker car that spewed 60,000 tons of deadly chlorine gas across Graniteville, SC lies amid other derailed cars. Amid the heap of derailed railway cars above lies the breached DOT-111 chemical tanker car that spewed 60,000 tons of deadly chlorine gas across Graniteville, SC. Here’s a 82 car DOT-111 chemical tanker train carrying methanol as it approaches the CSX railway bridge over Herkimer’s West Canada Creek at the 223 mile marker. Note the red flammable gas warning placard on the lower right. Herkimer’s methamphetamine cooks aren’t Walter White and Jesse. 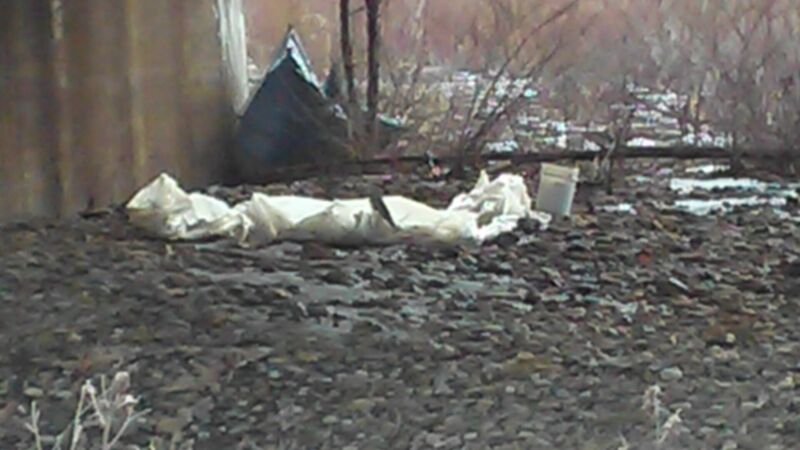 Assume a night’s meth cook beneath the Herkimer Meth Bridge had gone wrong. And an explosion beneath the bridge triggered a derailment of a similar chemical tanker train. How many cars could have tumbled into the creek? There are no online specs of the West Canada Creek railway bridge’s span. But just upstream is the much loved and long abandoned Herkimer Trolley bridge, which is 1,023.5 feet long. The bridges appear to be approximately the same length. Herkimer Trolley Bridge (just below Rt. 5 highway bridge), and West Canada Creek railway bridge (bottom). Unexploded DOT-111 chemical tanker car. The average DOT-111A chemical tanker car is 45 ft long. Given the bridge’s span, 22 chemical tanker cars could be on it when a derailment occurred. Most would tumble into West Canada Creek. Given the DOT-111’s horrific history, many if not all the cars would breach, potentially spewing 484,000 gallons, or 15,242 tons of toxic chemicals into Herkimer’s air and water. Other DOT-111 cars that fell onto the embankments would also breach. 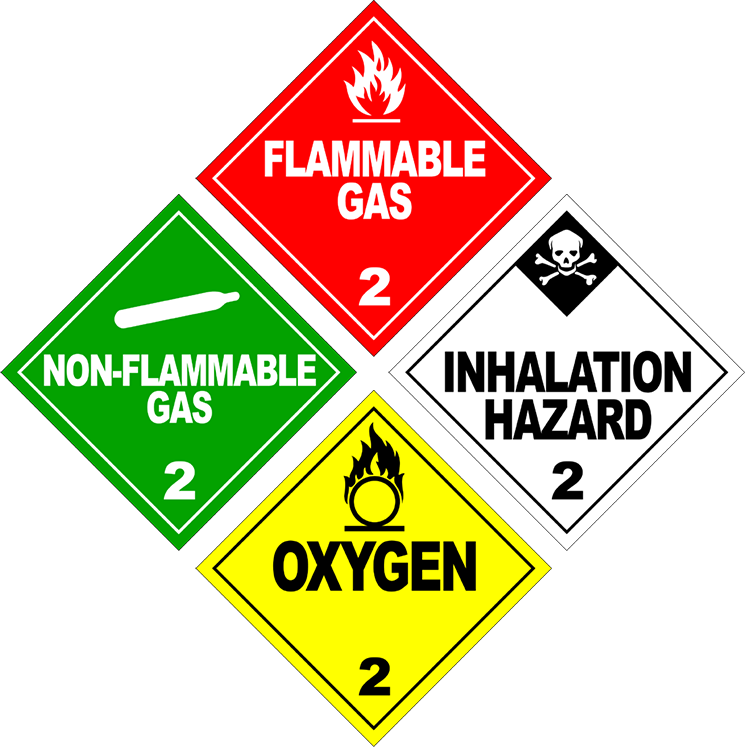 The immediate nature and extent of the disaster in the Herkimer area would depend upon the cars’ contents: explosion, fire, poison gas or all three are possible. Whatever the outcome, it wouldn’t be pretty. And the rest of the hellish stuff would quickly flow 1/2 mile down the fast-moving West Canada into the Mohawk River and from there on into the Hudson River. It wouldn’t be the BP Oil spill, but the Hudson’s not the Gulf of Mexico. Of the 65 major tributaries of the Hudson River, the Mohawk River is the largest, entering the Hudson near Albany. The Hudson River Watershed is comprised of 11 major sub-watersheds that drain approximately 13,400 square miles. About 60% of the water in the watershed is used for commercial or industrial purposes and is home to about 5 million people. Such a massive toxic spill would destroy marine ecologies and impact the health and livelihoods of the 5 million people who live in the Hudson River Watershed for a very long time. 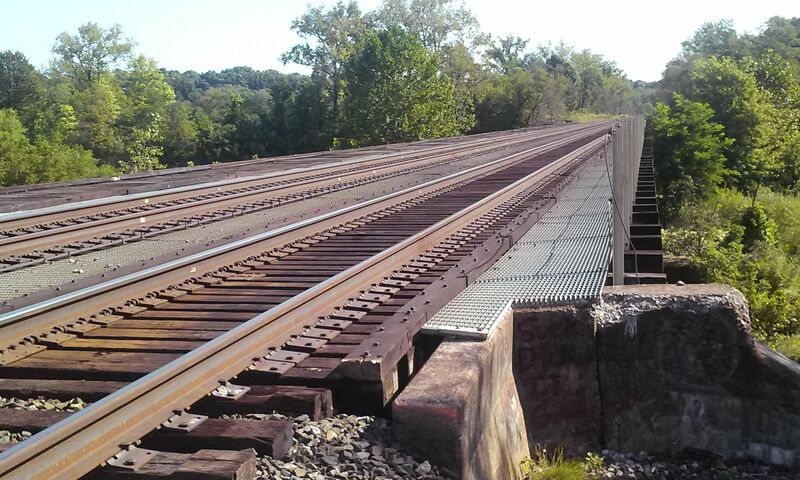 The good news: since last winter law enforcement action at the Herkimer Meth Bridge, the bridge h as seen a lot of much-needed rail bed improvement, and upgraded electronic safety features. 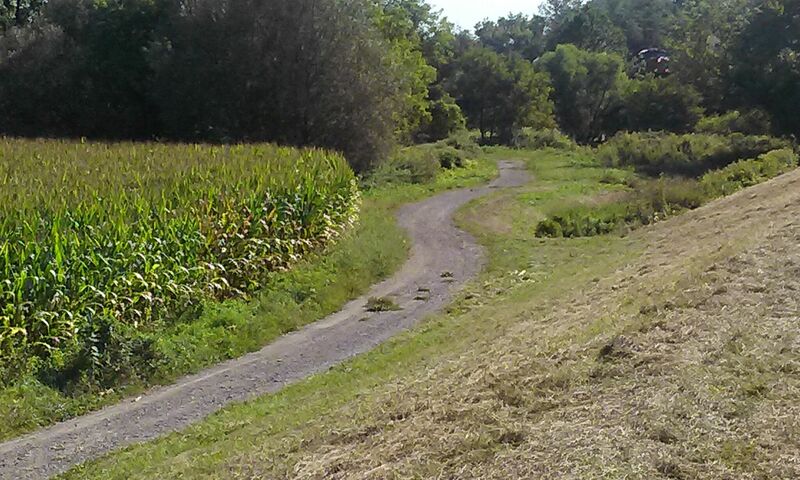 The bridge is also the benficiary of more boots on the ground and eyes in the skies over Herkimer. And Herkimer’s itself is the beneficiary of an expanded policy enabling the domestic use of drone surveillance. Quadcopter drone nested in a remote solar-powered recharging drone box. H3 Dynamics photo. It’s not just the bridge incident. That was but symptomatic of the anarchy spawned by Herkimer’s lawlessness and its rich tradition of failed governance. It’s made the Village of Herkimer a pirate haven harboring all sorts of criminals, notably narcotics and child traffickers. Then came the threat of mass destruction posed by a potential rail disaster, mindlessly touched off by Herkimer’s cop-coddled criminals. So Herkimer is now guarded by drones. Lots of them. Depending on the type of drone, operators can track up to 65 different targets across a distance of 65 square miles. Drone cameras have infrared, complemented by heat sensors, motion detectors and automated license plate readers. Military and police drones integrated with facial recognition technology and multiple databases make it possible to remotely identify persons of interest. The battle for the Herkimer Meth Bridge was but part of the battle for Herkimer and the future of New York. From a broader perspective, New York appears to be aggregating resources to Central New York in anticipation of climate change driving industry and people inland and north. Worldwide, we’re facing the largest migration of populations since the collapse of the Roman Empire. Our region has a wealth of natural resources. Herkimer’s strategic location astride principal transportation routes with quick access to major metropolitan areas are what attracted the organized crime and now, the state and federal governments. The team with the biggest stick wins. Care to bet? Sadly, the DOT-111 chemical tanker cars that could wipe us all out in a few chaotic moments will continue rolling along as the oil industry and refiners fight proposed safety changes. If you live near a major railway line as we do, you might want to buy a gas mask. The Herkimer Post would like to thank the officers of the New York State Police and agents of the US Department of Homeland Security, without whose vigilance and dedication to duty this series would not have been written. Also a grand tip of the hat to Night Court and Trapper Ron. Part 2 of a 3 part series, Nightmare Along the Mohawk – The Herkimer Meth Bridge. Part 1 tells of our discovery of a methamphetamine cook site beneath a major railway bridge spanning West Canada Creek in Herkimer NY. 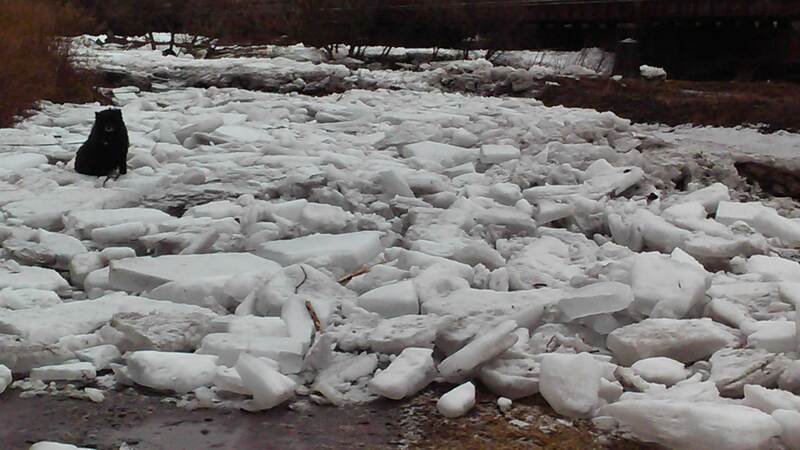 The bridge is about 1/2 mile from where West Canada Creek meets the Mohawk River, and 1/4 mile from Herkimer Village. Despite Night Court’s warning to stay out of the woods, a few days after alerting the New York State Police to the danger, we set out to return to West Canada Creek and the Herkimer Meth Bridge. It’s a ten minute walk from our home in Herkimer Village’s Camera House. 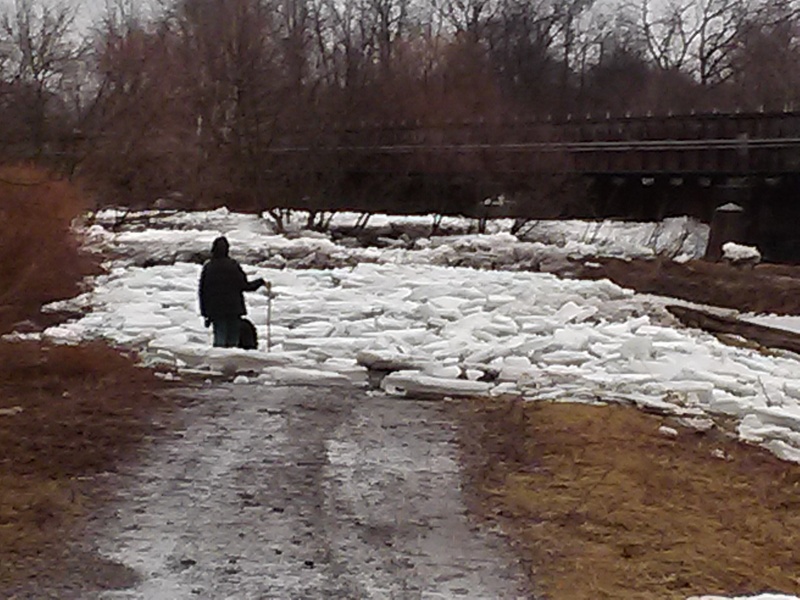 Folks who hadn’t recently ventured over to the village’s cornfield road told us the ice was a natural occurrence–West Canada Creek was subject to flooding that would often lay swathes of ice along its banks. If this was the river god in action, he’d perfectly laid out the ice along the road, paralleling the tree line and the flood control levee. And he’d used some truly impressive equipment. Turnaround point for very big vehicles at end of CSX access road from Herkimer’s East State Street. Area of undergrowth removed by heavy equipment adjacent to CSX access road from East State Street and cornfield road leading to the Herkimer Meth Bridge. The response to the threat was on the order of the Hammer of God. We were astounded by its scope and speed and the resources it must have required. It may have been drawn from a contingency plan, but there’s many a slip between plan and execution. It was a rapid, meticulous and flawlessly executed, multi-agency effort, probably involving the State of New York, the Federal government and possibly the Army Corp of Engineers. The law enforcement agencies responsible knew what was traveling across that bridge day and night: the angel of death of the rails, the DOT-111 chemical tanker car. Hundreds of them roll across the Herkimer Meth Bridge every day. No wonder the Big Red Button was pushed.